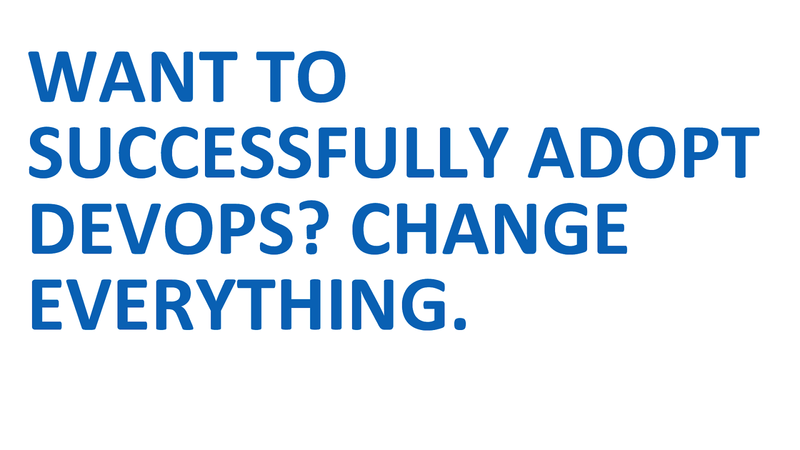 WANT TO SUCCESSFULLY ADOPT DEVOPS? CHANGE EVERYTHING. View Want to successfully adopt DevOps? Change Everything.